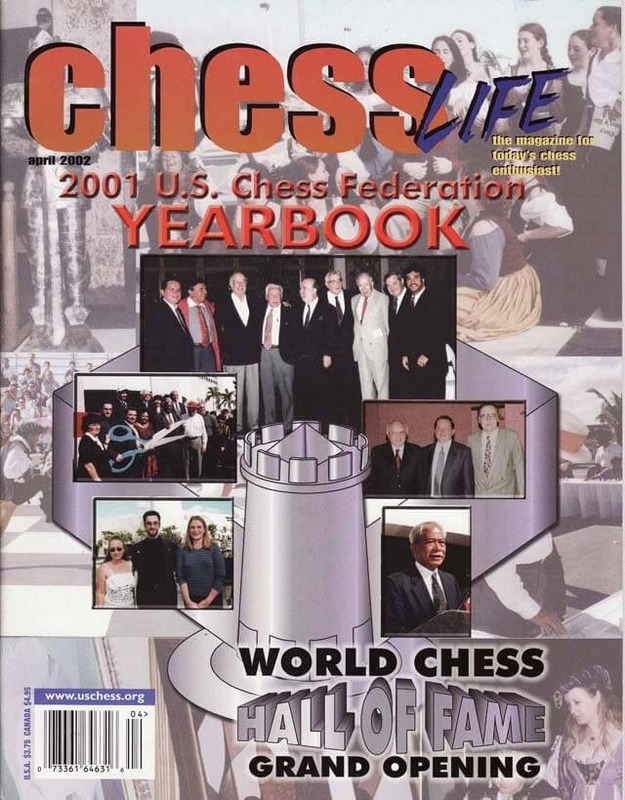 The April 2002 Issue of Chess Life Magazine takes a look at the grand opening of the US Chess Hall of Fame! It also contains the 2001 USCF Yearbook. There are also articles on the North American Open and the Eastern Open.